Bubbles and string are often found in children’s treasure troves of playthings. 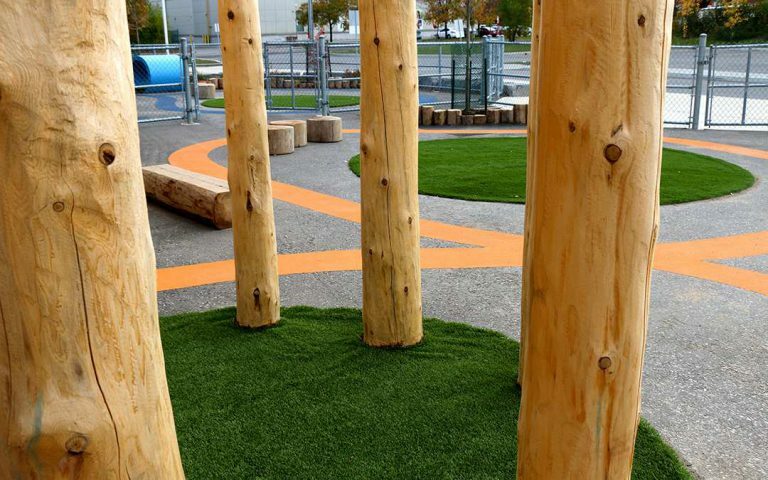 The light and loose nature of these elements inspired the design of the daycare space at Garderie du Cercle L’amitié. Inspiration was also drawn from the punchy street art of Lang-Baumann. 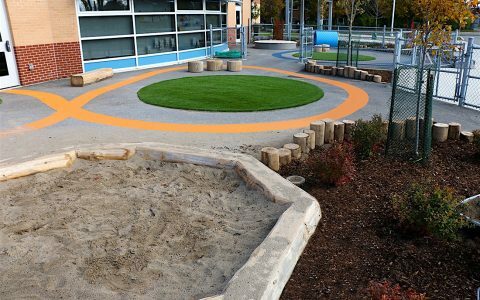 Inserting ‘bubbles’ of activity minimized costs related to asphalt removal while still leveraging good play value. 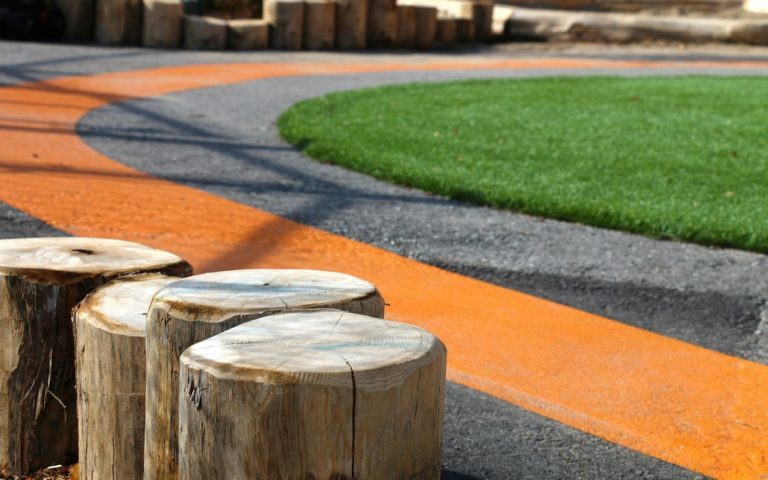 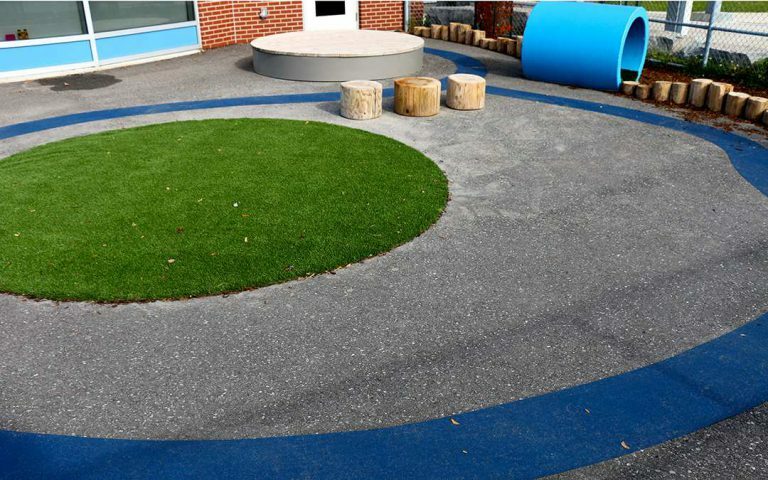 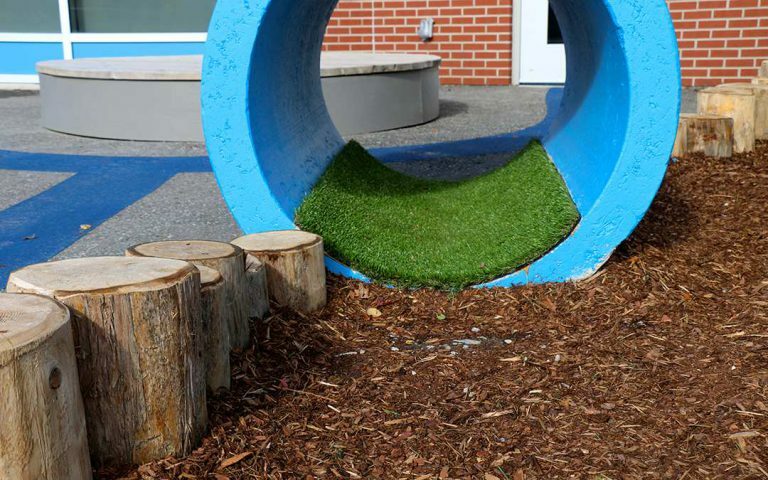 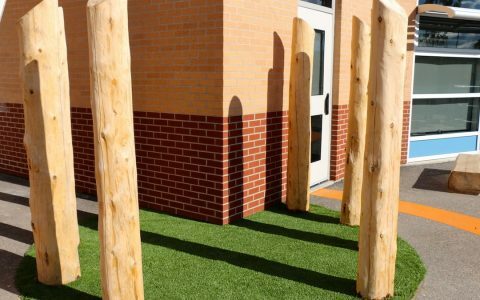 A brightly coloured ‘string’ path connects the elements and guides movement within the play environment. In the junior area the path leads one from the schoolroom entrance towards the log edged sand play area. Two logs have been lowered at the front for children to easily step in. The path then loops around the artificial turf area and towards the chalkboard and post hut. Passing between these elements leads one beside the garden area and directly to the storage room. 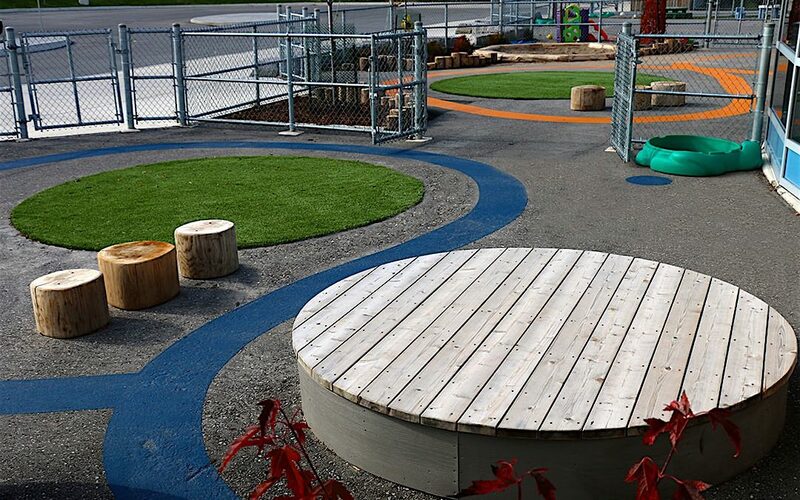 The path in the infant area leads from the entrance immediately between the round deck and stump seats. 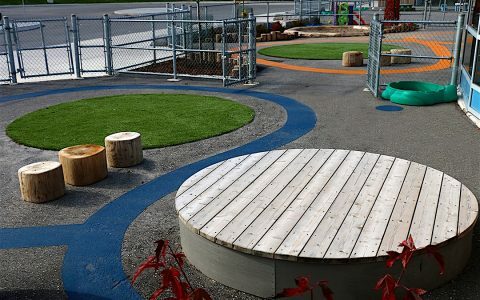 Following along one would then pass by the steel drum and around the artificial turf ‘bubble’. The path then trails alongside the planting area where one would discover a concrete tunnel entrance as the path completes its course. 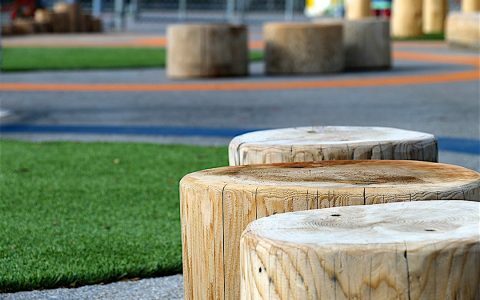 Throughout the design, planting ‘boxes’ were morphed into organic shapes to absorb areas requiring permeable paver removal, and to relate to the concept.